River (formerly CES) is an evolving platform for artists and art advocacy. River will take various forms in a variety of locations. Its primary shape is a physical gallery with artist-specific programming. As a gallery, River operates on a non-traditional, carefully-constructed platform to represent local and international emerging artists. This model creates a much-needed space for mentorship in a transparent, honest, and familial incubator-style environment. River produces solo shows and streamlines the artist-gallery working dynamic. The gallery champions artists who exude positive values personally and professionally. As an alternative space, River contributes to the current arts dialogue in Los Angeles as it rapidly evolves. 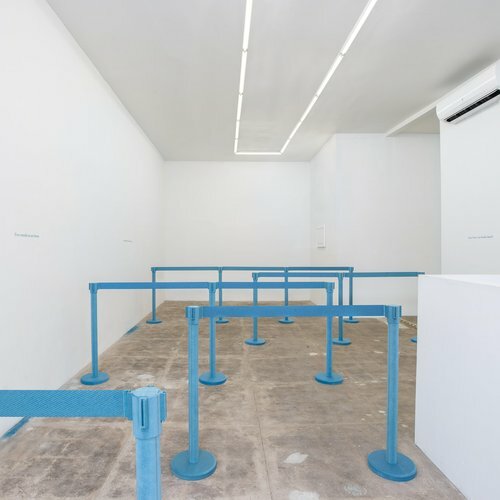 River's primary agenda is to function as a progressive commercial space in Los Angeles that specializes in the exhibition and sale of contemporary art via physical and online systems. The platform will also promote art and culture via alternative, non-commercial programming. Inspired by nature, River will carve out its own path. Director Carl E. Smith has organized and produced exhibitions and other art events in California and internationally for the past two decades. Smith opened his first gallery in the Czech Republic 15 years ago, curating young artists into their first exhibitions. He has advocated for artists on a myriad of commercial and fine art platforms between Prague, his hometown of Laguna Beach and subsequently, CES Gallery, in Downtown LA—all with the intention of fostering artistic vision. He is passionate about helping emerging artists through the crucial first stages of their careers. Smith is an active creative, specializing in art, design and education. He is currently pursuing an art history degree, while teaching professional practice workshops for artists at various institutions. Smith is the Chair of the Contemporary Circle at the Laguna Art Museum.